Physical security software enables in-house security departments and third-party security companies to better manage their workforces by providing officer monitoring, real-time updates on incidents, and direct lines of communication to officers in the field. Physical security systems allow security guards to report incidents and feature both real-time GPS tracking and incident reporting. Companies use physical security software to monitor personnel, track performance, file reports, and receive real-time alerts on events happening in the field. Physical security solutions may also provide detailed reporting and analytics functions, depending on how comprehensive they are. Physical security software is similar to field service management software, but includes features designed specifically for security guard management. Physical security software is used by security companies or in-house corporate security departments. Physical security software can be used as a standalone solution or in conjunction with other administrative, HR, and finance software to provide a full workforce management solution. Physical Security reviews by real, verified users. Find unbiased ratings on user satisfaction, features, and price based on the most reviews available anywhere. 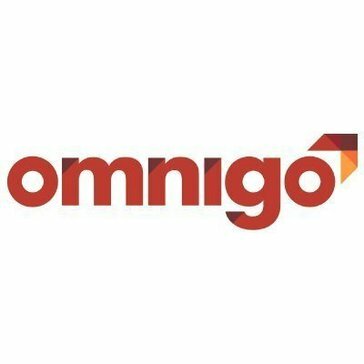 Omnigo Software is the leading provider of public safety, incident reporting, and security management solutions for law enforcement, education, healthcare, gaming, hospitality, and other enterprises, and offers easy-to-use and flexible applications that provide actionable insight for making more informed decisions. Currently used by over 2,000 customers in 20 different countries, Omnigo solutions have helped law enforcement and security professionals internationally secure their organizations’ property, protect against revenue loss, and ensure the safety of the general public. TrackTik is a mobile, web-based software solution designed for the security industry. Smarter Business Security combines intelligent IDS, video surveillance, access control, and energy management into a single solution. Blue Iris is a video surveillance software solution. Brivo offers cloud access control solutions. Eagle Eye Networks is a cloud-based video surveillance platform. Evolv Technologies commercializes metamaterials-based imaging and detection technology for use in airports and other high-risk facilities. Nest Aware is a video surveillance solution with intelligent alerts and video history. Veristream - the leading solution for visitor management since 2008 - combines security expertise with the latest technology to enhance the overall check in experience for guests while keeping your facility secure. Our cloud-based solutions - iVisitor and BreezN - offer automated dashboards that allow full visibility into who is in your facility at all times. Schedule visitors, check in walk up guests, monitor vendors and deliveries, print badges, run reports, and more. Easy deployment to 1 location or 1,000 with minimal equipment and staff. C-TPAT, OSHA, HIPAA, ITAR, JCAHO compliant. Alnetsystems is a VMS IP Video surveillance software that develops tools for surveillance and security, techNology inNovation and technical support. ICO Security is a physical security software that covers all the safety requirements within an organization. Bold Gemini is a physical security software that provides ease of use, and the widest range of functionality. It is used in commercial, corporate and in-house, local authority, retail, banking, hospital, and university monitoring control rooms. Bravo is a software designed for security guard companies, facility management and manpower outsourcing. collectiveQuartermaster® is a software for law enforcement agencies to manage assets, assign equipment, track officer certification, and much more. Crimestar CAD is a Computer Aided Dispatch system that tracks information relating to police, fire, EMS and public works calls and activity. Dedicated Micros provides tailored secure IP video solutions. DeskShare Security Monitor Pro is a professional video surveillance software with support for multiple IP cameras. Detail Kommander eliminates the excess time you spend managing off-duty details so you can get back to your primary mission of protecting and serving your community. EasyTour software provides all the basics for guard tour verification. It's ideal for smaller security departments where requirements or budgets are limited. If you're looking for a professional-quality guard tour software solution, EasyTour is your answer. Ednetics physical security solutions help increase the level of security and safety in organizations and are built to integrate, increasing their flexibility and features. Monitor entrances and high-risk areas with video surveillance. Authorize visitors and employ lockdown capability with access control. Broadcast alerts and notify authorities and first responders in emergency situations with emergency notification systems (ENS). Ednetics designs and implements physical security solutions with a deep understanding of customer environments and a commitment to best practices in technology and safety. Envoy's technology platform makes it seamless for companies to hire, mobilize and manage a global workforce. Our streamlined approach to sponsoring, managing and tracking work visas and green cards in the U.S. and around the world results in a transparent and collaborative experience for you and your employees. Eocortex is a professional security software for IP camera surveillance systems, intelligent video analytics modules, and network video recorders. ePortation is a leader in the field of real-time information logistics and builds and deploys real-time systems for managing challenging and complex environments. False Alarm Reduction Service from Johnson Controls is a unique web application that reduces your alarm activity and the costs that come with it. This cloud-based application utilizes machine learning techniques to analyze and identify alarm patterns and then provides insights and recommended actions. Guard Center is a cloud-based professional software for the security guarding industry. It helps automate and improve the operations of your entire workforce. Guardhouse delivers an operation and back-office suite, custom-built for security companies, bringing all your manpower operations onto one platform. From smarter Scheduling and Guard Tracking to integrated Payroll and Invoicing, Guardhouse is guaranteed to save your business time and money. GuardMetrics-PatrolTrack guard tracking software is the perfect solution for a security guard service who seeks an affordable, yet very capable, means to compete. It tracks your guard tours and patrols receives, and stores, reports from your officers from any smart-device, including their personal devices, if need be. It is even branded with YOUR COMPANY logo and name. It also has a couple features that none of the most expensive officer tracking systems can deliver! GuardTek offers a software solution for security guard tracking, monitoring and managing with real-time customization that address the dynamic challenges of the global security industry. Guard tour tracking software helps monitor the time and activity of your security guards while they are performing patrols at their sites. iDispatch is a security dispatch system that provides tools designed to help with security officer dispatch management and workflow with real-time view of current activity and availability and more. Intelli-M Access is a browser-based application for single-door or enterprise-wide access control that offers door configuration, event monitoring, and more. Intergraph Security (I/Security) is a suite of software for physical security information management (PSIM), situational awareness, and decision support. Kugadi focuses on enabling and empowering contract security guards, their managers and their operations. A leading provider of alarm monitoring and PSIM software. Our flagship product, ManitouNEO, is a fully expandable, award-winning, web-based platform. Matrix Systems' Frontier access control and security management solution is proven in the most challenging environments across a variety of industries. Its powerful open architecture design allows total control over alarm monitoring, auditing, and reporting. MOBOTIX specialize in making IP video security software that can be combined with their proprietary, fail-safe premium hardware to create an intelligent complete system. Fortems Omnipresence 3D software helps security-critical organizations prevent costly mistakes and respond to incidents in record time to protect their community and their reputation against increasingly complex security threats. Orna is a Physical Security Software that utilized and digitalized officer information to be more to be more productive and efficient . Hi there! Can I help you find the best Physical Security solutions?